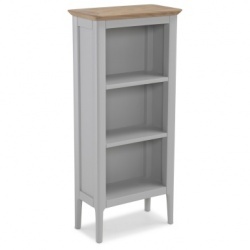 Tops - superior mainly-solid oak construction with hand wax finishing. 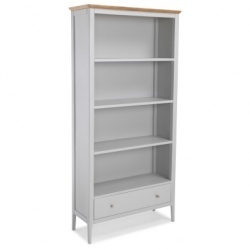 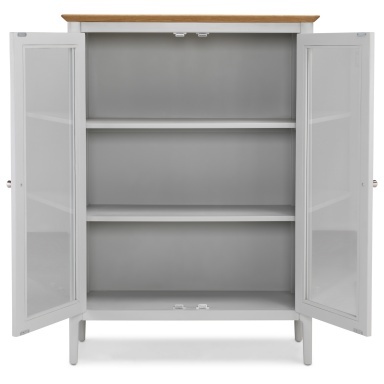 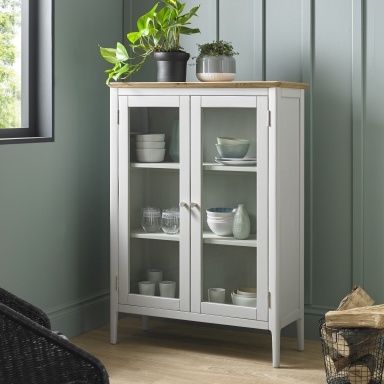 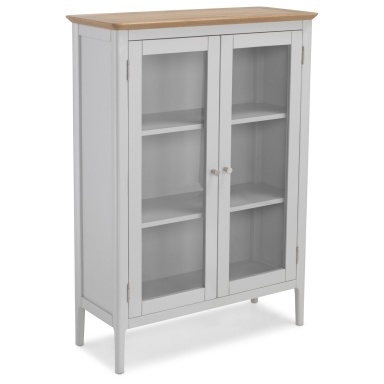 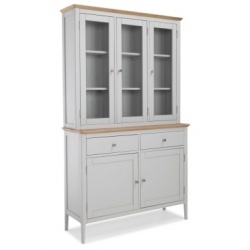 Carcass - light grey painted finish blends well with the oak tops. 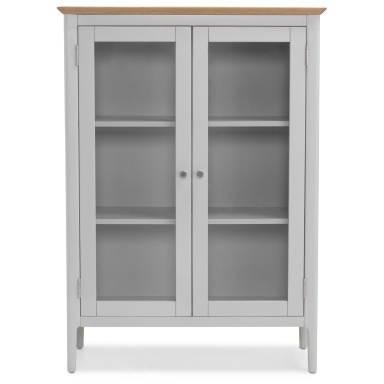 Satin silver knob handles as pictured (plus a wooden oak version) are both supplied as standard.